Seal of Montana contains the state motto. Montana's state flag also features the great seal. Public domain image on Wikipedia. 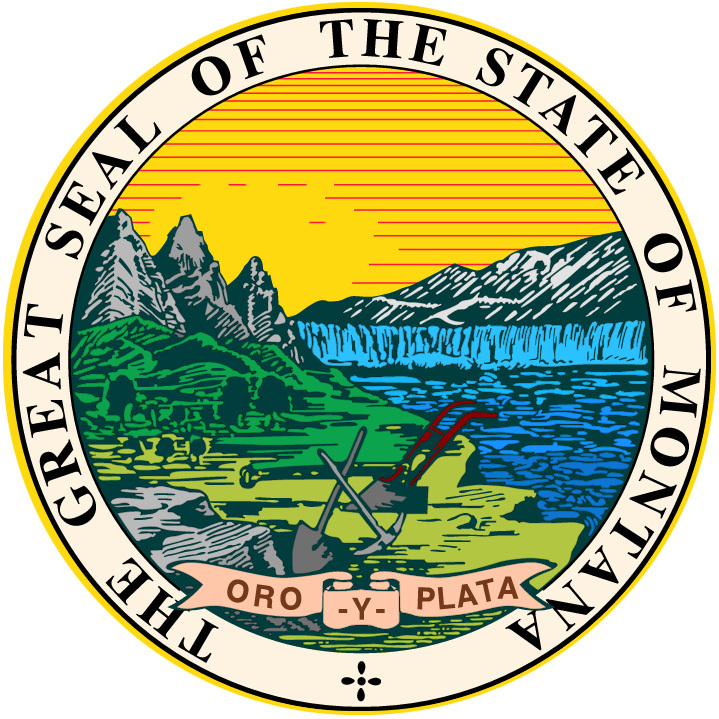 Montana's official seal features the sun setting over snowy mountains (the mountains which gave the state its name), the great waterfalls of the Missouri River, three tools (a pick, a shovel, and a plow - symbols of Montana's mining and farming history), and a ribbon with the state motto displayed at the bottom of the seal; "Oro y Plata" (Spanish for "gold and silver" - referring to the mineral wealth which inspired Montana's nickname). The seal design is surrounded by these words, "The Great Seal of the State of Montana." 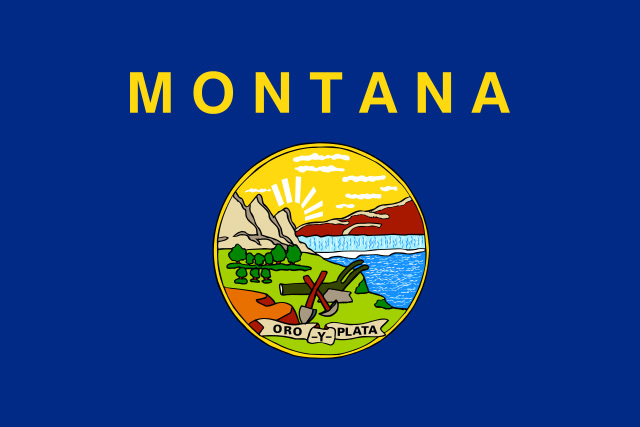 Flag of Montana features the state seal and state motto; public domain image on Wikipedia.